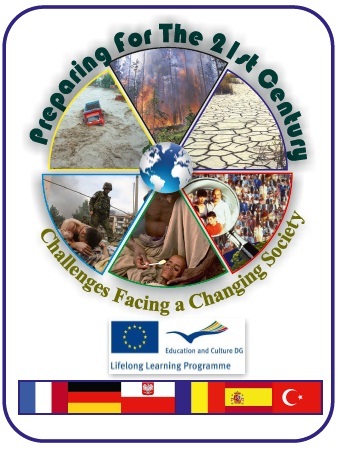 Preparing for the 21st Century: Challenges Facing a Changing Society. The project aims at looking at the challenges of our world: unemployment, poverty, environmental issues, ICT in education, migration and intercultural barriers. It is a multilateral project and it bases on the cooperation of six schools from different countries: France, Germany, Poland, Romania, Spain and Turkey. The partnership was planned for two school years: 2010/2011 and 2011/2012 and one of its crucial parts are work sessions in partner countries, where all the partners discuss given problems and compare the information they gather in their host countries.